Spotlight Interview – Who’s Behind TAB X TAB? I sit down with the masterminds of the supercool coffee hub, Tab x Tab in Notting Hill. 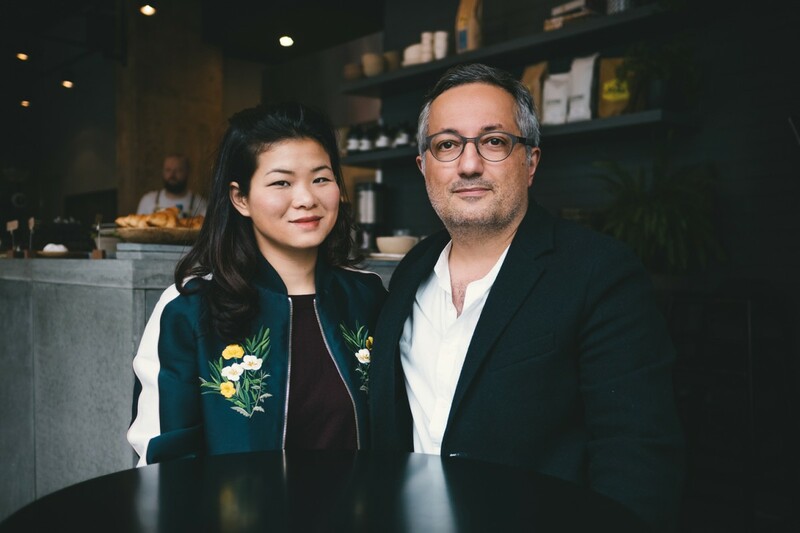 In this interview, Mathew and Charmaine Tabatabai, talk to me about their personal path, opening their minds to a new venture, setting a standard, finding their niche and becoming a neighborhood favourite! Tell me about your career path. How did you start your journey? How and why did you open Tab x Tab? Mathew – My career path has been consistently in the luxury goods industry. Having worked for leading UK multi-brand retailers Matches and Browns in the 90s, and a spell doing consultancy for the industry. I then made a big life change, moving to Hong Kong in 2008 to work for leading luxury retailers Lane Crawford Joyce Group. As head of retail for JOYCE, I covered all stores in Hong Kong and China. I also opened about 30 new stores, including a number of franchise partnership stores including the first Alexander McQueen store in Asia and Rick Owens to name two. I met Charmaine after just a few months in Hong Kong. It was 2015 when London came calling in the shape of Alexander McQueen. Who offered me the role of Global Retail Director. It was only a role of that kind of magnitude that was going to tempt me away as we had a good life in Hong Kong (by then married with our baby daughter Poppy). 1. Professional – To be E-commerce-Proof: My expertise was opening, operating and developing physical stores – In years to come luxury goods will be purchased online predominantly and that’s not a future that excites me from an industry viewpoint. My experience was very relevant in shaping Tab x Tab and with Charmaine’s invaluable input we make a pretty good team. It was and is very much 50/50 in terms of input between us each in the business. Our points of reference are probably very different from a great barista coming up from the coffee world, so we felt confident that our point of view would result in a fresh concept which our target customers would enjoy. 2. Personal –I did not wish to be an absent father and husband who was largely overseas; So the independence of starting and developing a local business in London was very attractive. And with Charmaine, she’s far too dynamic and creative to pack in work altogether for motherhood so stars were aligned you could say. 3. We (really) love great coffee – Over the years travelling across the world, the location of the best coffee was right up there with hotel booking when planning our trips. So after being in London for a few months, we knew that while there was an abundance of choice the quality consistency was patchy and the focus was either coffee or food, rarely both (with the exception of larger operators like Ozone and Caravan). It got to the point where I was sending back half the coffees I ordered in various places (to be remade). We’d been to Ozone and liked the coffee and their concept, but it was really Lucas who recommended Ozone and we’re pleased we went with them for our local supplier. BOCCA was one of those wonderful instances where we discovered their cafe in Amsterdam almost by chance (lucky only 1 week after they opened) as we were walking along the lesser trodden streets. We were really impressed by the space, the coffee, everything. They were high on our list when we were looking for coffee partners and I could not believe that they were not already carried by anyone in the UK! We approached them; they were unsure at first, we then sent them our concept summary and that was that. We’ve worked very closely together since then. Lalani & Co for Tea was an absolute no-brainer. They are so passionate about their craft; Jameel Lalani personally sources all their small single batch varieties from around the world (from the Himalayas to Hawaii). We work closely with him and his right-hand man, Mederic Hauchard who as a wine sommelier manages to articulate every flavor note perfectly. What inspired your all day dining à la carte menu offering? Taste, Balance and fresh ingredients (We like things in 3s). Our menu offering currently is focused on breakfast and lunch. We deliberately have kept it small as it’s important for us that every dish is fully and freshly every time, And we have a small team so we have to be super focused and not overstretch ourselves. Balance – Because we like to be healthy but at the same time everyone wants a little treat. The menu is something that we are still evolving. We had no food at all when we first opened as we wanted to fully focus on our coffee and tea. It was only after 2 months that we started to introduce food, a little at a time. I’m sure we could have had a lot more sales, but this approach works better for us long term as it allows us to get things just as we intend them to be before we move on to the next product. What would you say sets Tab x Tab apart from your competitors in London? There are some superb operators in London. I think what we do really well is bring together the essential ingredients from the product, environment, service and all the touch points (from our bespoke cups, crockery, handmade oak table, solid concrete counter, door handles, even WCs, basins) all together with the same high standards of execution. Our customers are no different to the ones that I know so well over many years of luxury fashion. They have a great appreciation of quality, travel, possibly homes in London and overseas, so it was just a given for us that the same attention to detail should be given to the chairs, cups etc. as to the coffee. It’s sometimes frustrating when you’re having a great coffee in a coffee shop but the basic housekeeping is appalling. It’s about the 360 experience for us, not just what’s in your cup. As soon as you walk in, you can notice the excellent understated and beautifully functional design. How did you come up with this interior concept? It’s based very much on our personal style which leans towards a darker colour palette and subtle hints and details. We started with what we didn’t want which was distressed wood, scaffold, salvaged doors as tables, old school chairs, chairs pews, that kind of thing. From there we really started with the shell which we knew from the beginning would be a warm concrete tone. How did you decide that you wanted to display a curated homeware/lifestyle retail corner in your coffee shop? We didn’t want to have any coffee making equipment, but more lifestyle driven. So the same approach we have taken with our menu stands for the retail corner too. Currently, the offering is deliberately small. We sell a small selection of KANA crockery and cups and Linda Bloomfield teaware because we’re confident our customers will love them as much as we do. We also sell our favourite School Of Life books and cards. We have made a KeepCUp in Tab x Tab colours which is a new addition. The retail area is one we plan to develop with further creative collaborations – So watch this space. Execution and Consistency across absolutely everything at all times to the minutest detail; But on a human level we love building relationships and the community we’ve created here has a life force of its own. Attitude is everything. You might make the best coffee in the world but if it’s given with a bad attitude, you’ll never see me again. We go out of our way to hire people who love people (It’s surprising how many people are in the service industry and actual they hate serving people). And also, we hire people who in some way see this as a part of their own career development. Whether they want to open they own coffee shop one day, be a hotel manager, chef etc. We include the team in a lot of our planning so they’re very involved and invested in what we are where we’re going. What advice would you give other entrepreneurs starting out in the hospitality business? Be brutally honest and realistic about the time you’re prepared to put in day in and day out and don’t expect to get rich. For me, I love that I can see my family whenever I want. That we’re helping to shape the professional lives of a small group of amazing humans. And that we have a growing base of customers and friends who value what we do. What  are the biggest obstacles you personally  have  come across on your journey? Forget about work and life balance. What  is the greatest lesson you  have  learned so far? However much time you think something is going to take to implement – double it. Lastly, having a diverse team is the best team! How do you champion sustainability within your business? We recycle whatever waste we can. But it’s an area we can improve on. We go through a lot of coffee and that’s something we’d like to have a better solution for. We’re planning to on phasing our plastic straws and as encourage our customers to use Keepcups for takeaways. How does Tab x Tab impact the Notting Hill community? I think this one’s best answered by our customers. I hope that we have created an engaging social hub for discerning and creative people from all walks of life. What is the lasting impression that you want your customers to take away with them when they have experienced visiting Tab x Tab? Intuitive service, taste and hopefully the sense that they must come back…and soon. What is your next move for the Tab x Tab brand? It’s really to focus on our only site on Westbourne Grove and extend creative collaborations during the day and evenings. While expansion and other sites are an exciting proposition we have only started so it’s not something we want to do quite yet – But again, watch this space! Read more about this fantastic venue. Here’s my review on Tab x Tab.